Once upon a time you probably saw the word “poké” and thought ‘Is that like a Facebook poke?’ (No, it’s not.) Or you may have tried to connect it to Pokémon, the show/cards/app/lifestyle that took over the pop culture zeitgeist this summer. (It’s not related.) 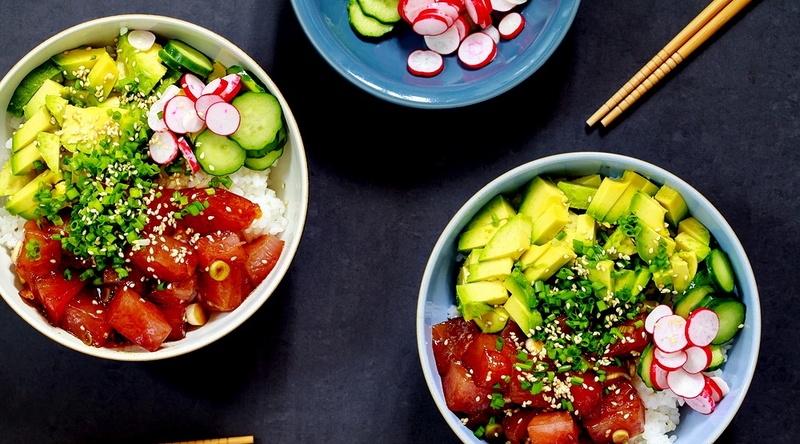 But if you are a food lover, you’ll know that poké is a super (super, super) trendy raw fish dish that is sweeping the U.S. and Canada, Vancouver included. With five poké-centric restaurants open or in the works already comes word that there’s another one on its way. The Poké Shop will be dishing up bowls of Hawaiian-style marinated fish cubes soon in Gastown. Located at 306 Water Street, Poké Shop has been an idea in the works for about three years for Brian Leung, who is also behind Teppan Kitchen–soon to have three Metro Vancouver locations. Leung tells Daily Hive via telephone that he first was struck with the idea to have a poké shop in Vancouver after experiencing the dish firsthand while vacationing on Maui. “Vancouver is the perfect market for [poké],” he attests. For Poké Shop, Leung says they plan to stick to the traditional dish, and will present it in a “fast casual concept” akin to places like Chipotle, where customers build their own bowl or salad by choosing the ingredients presented at the counter. The poké proteins include various kinds of salmon, tuna, unagi, chicken, and more, and can be paired with the diner’s choice of base, such as sushi rice, quinoa, zucchini noodles, or kale, for example, and then a range of toppings. “You can then finish it off with your choice of different specialty sauces,” Leung explains. Also on the menu will be Hawaiian-style drinks, including iced teas and milk teas. There will be around 20 seats inside Poké Shop; the location was previously a clothing store the opening has been delayed for some time in light of the usual Vancouver permit woes. Right now, Leung says Poké Shop is on track for a mid-September opening.